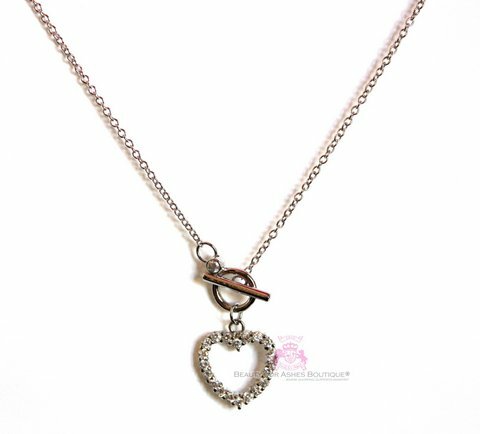 Feminine and delicate Sterling Silver necklace with an open cz heart. Open Heart CZ Pendant measures 5/8" square. Dainty link chain measures 17" in length. 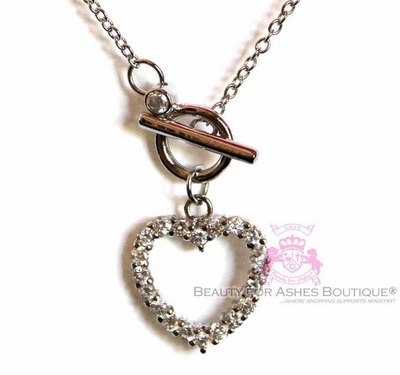 At the base of the chain is a tiny CZ and ring and toggle closure for easability. White gold plating over Sterling Silver!